“Goldfinger…. He’s the man, the man with the Midas touch…” Surely the Aston Martin DB5 as first seen in the James Bond Movie “Goldfinger” is the most iconic car of the movies? One for my #Moviecars theme, this time drawn in a more art-deco style. 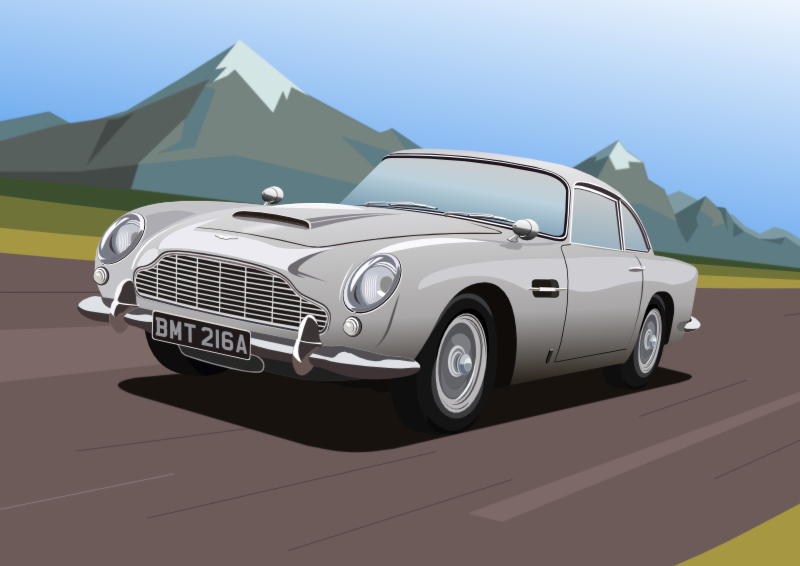 I love the more simplified drawings of certain cars and this DB5 works well in this style.